However, his successor, Kim Jong Un went a step further and has now decided to let his fellow citizens on the TV screens how his country plays fantastically on Mundial in Brazil, where it came to the title of World Champion. North Koreans are so mastered in the first round 7:0 Japan, the United States 4-0, 2-0, and China, and in the knock-out phase was destroyed Portugal 7:0. 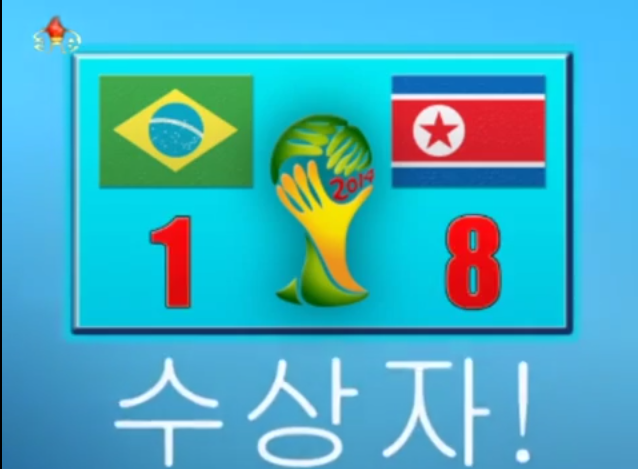 After that the Germans had provided decent resistance, and it was 2-1 for North Korea, which is celebrated in the semifinal against South Korea 3-0 in the finals were outclassed Brazil 8:1.